FREE Monthly Event – CIT Blackrock Castle Observatory hosts First Fridays, an action-packed open nights on the first Friday of every month with activities for visitors of all ages. Join us to see why science is fun! This month’s First Friday focus is Radio Astronomy. 6-8pm: Workshops – Half hour family friendly sessions with BCO’s in-house teacher and astronomer, Frances McCarthy. Send a message to space via our radio telescope. 7-8pm: Cork Science Café – An Engineers Week special. Join in our informal monthly discussion over a drink at the Lodge at Blackrock Castle. Dr. Liam Marnane, UCC Electronic Engineering. “Electronics in Medicine” – From simple pulse and oxygen saturation measurement to the extremely complex. Radio Astronomy began with the discovery of cosmic radio signals by Karl Jansky in the early 1930’s, and has greatly changed our view of the Universe. It was early realized that groups of radio images of astronomical objects – a technique called radio interferometry. Very Long Baseline Interferometry can obtain resolutions 50-100 times better than the Hubble Space Telescope achieves. 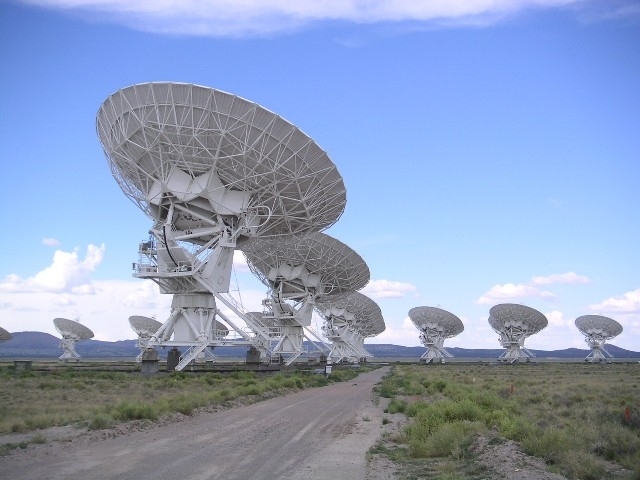 Today, radio astronomy is undergoing a technological revolution, with data sent from telescopes to processing centres along optic fibres at enormous rates of up to 30 Gbit/sec. Current developments are pushing toward the Square Kilometre Array – an international radio telescope with unprecedented high sensitivity planned to be finished in 2025. 7-10pm: Assisted night sky observing with the Cork Astronomy Club. Weather permitting we should have great views as the telescopes point to Jupiter & Orion.